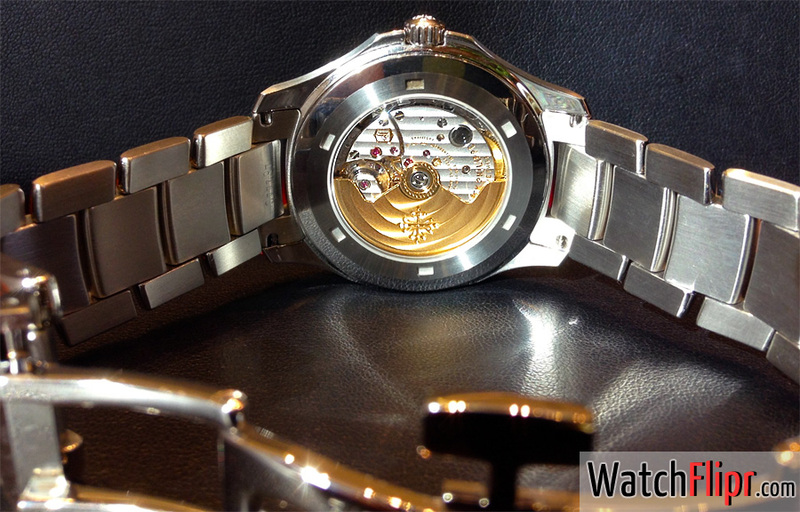 It’s hard to pick apart the best, and Patek Philippe is among the best – there is no dispute amongst the knowledgeable. I often get a customer that has reached a level in their life where they can afford an elite timepiece, so they go and get a Patek. Interestingly enough, the common purchase is the steel Nautilus. With this timepiece it feels like all bases are covered, you bought the best watch in the world! Then it happens. Entry-level luxury remorse sets in: you got the steel Nautilus, and yeah it’s automatic with a house movement and all, but you still feel empty as a collector. Grail dreams are fulfilled at first, yet many Nautilus/Aquanaut buyers would attest that this feeling of satisfaction begins to fade not long after the first time the watch is worn. While it’s true that every grail piece is just a goal, or mere stepping stones to bigger and better timepieces, I come across few who really enjoy the Nautilus. If you find yourself saying “it really doesn’t do anything for me,” it won’t, sorry, the steel Nautilus is the biggest lost leader ever produced by a high end company. That’s why collectors tend to obtain this model and dissolve quickly. Whats the dif between the Nautilus and Aqunaut? I always thought they were the same watch. wtf would cause you to think they are the same watch. wtf is the matter with you? Do not buy any watch for resale value or trade value, but it because you love it. Do not buy any watch for the name, buy it because you love it. That is all. this is one of the more idiotic articles I have read. The author clearly has no clue. How about the 3712, one of the more highly sough-after models which was replaced by the 5712? Sells for twice it’s last retail and is considered highly desirable. What about the 5712 itself? Considered an icon, holds value steadily in the face of market fluctuations. Steel nautiluses and aquanauts, while affordable as compared to their gold counterparts, are still quite pricey – an SS Patek costs the same or more as a solid gold Rolex. Price aside, pedigree remains. I have been flipping watches full-time for over a decade now, and SS Pateks are some of the more uncommon regular production pieces that are traded in. I hear “this Patek will go to my son when he graduates” much more often than “can I trade this in towards *****”. So, Flipr, I suggest you educate yourself rather than spew empty rhetoric for the sake of a shock-effect. Talk to any real collector, and you may understand – or may not, judging from some of the other intentionally incendiary, while completely lacking substance articles you post. maybe that’s why your viewership is down to nearly nil, and this blog is a running joke among real collectors. Obviously an opinion piece, no need to be a troll. Long time reader, I believe first time commenter. I wanted to agree with the basic idea in this comment, particularly the point about the 3712. However, the rest of the comment comes across as if it was written by a buffoon. I’d expect a person who deals in Patek Philippe to be able to express ideas and opinions with more restraint and class. Well, it is the internet after all. Overall, I do enjoy the commentary on the WF site. I loved my Aquanaut (on SS bracelet), but when I went to trade it in I felt the sentiment that is in this post. It’s definitely a watch to be bought, worn and passed down. If you’re looking for the same trade-ability as a sport Rolex, then you’ll be sorry. True, the Aquanaut is stepping stone to the Nautilus. 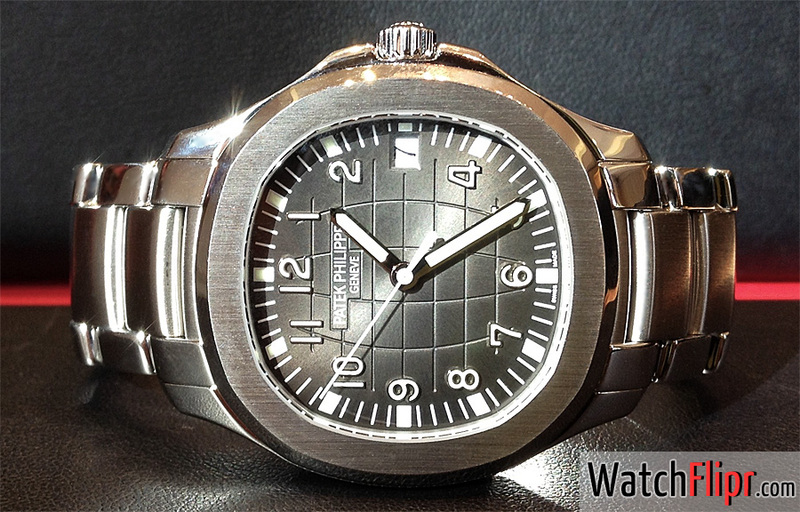 The Nautilus is a stepping stone to other delightful models in the Patek line. I think if you’re feeling remorse over purchasing the either of these models, it’s because you were purchasing for the wrong reason. If you’re looking for flashy and immediately recognizable style, then, generally, PP is not for you. If you’re looking for history in a brand and attention to detail with stunning finish and feel, then give it a try. Disclaimer-I am wearing my 5726 as I type this. It’s what I replaced my 5167 with. I’D RATHER BUY A VACHERON CONSTANTIN OVERSEAS.